Is music your thing? Looking to make it big? If so, take your skills from the streets to Tr3s cuz Dame un Break is back and the music competition is on! Round-trip airfare, hotel accommodations and ground transportation. So upload your best track by June 18, 2012 and find your stage! 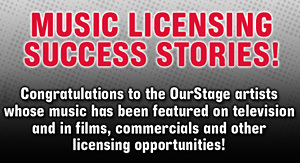 Open to OurStage account-holders who are eighteen (18) years of age or older at the time of entry. Entrants must be legal residents of the 48 contiguous United States (including the Commonwealth of Puerto Rico and excluding Hawaii and Alaska). Only Submission Materials that are determined, at the sole discretion of the Sponsors, to be classified as Latin, as defined on the official Tr3s "Dame un Break" Competition FAQs (http://dameunbreak.ourstage.com/faqs), will be deemed valid entries.